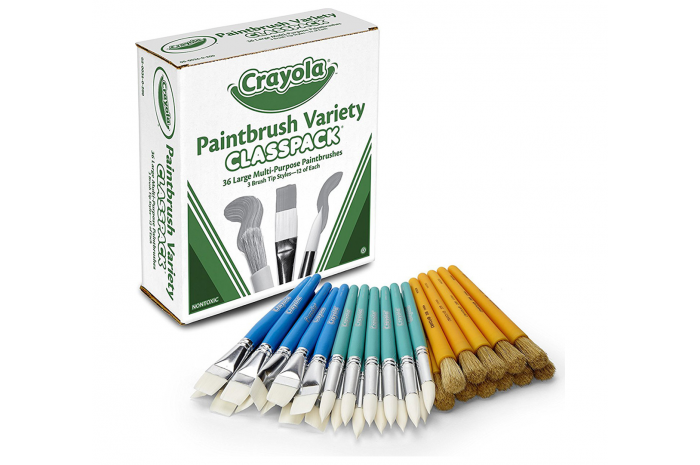 The Crayola Paintbrush Variety Pack provides everything kids need to have fun with paint. This pack includes a total of 36 brushes, 12 each of 3 different styles. 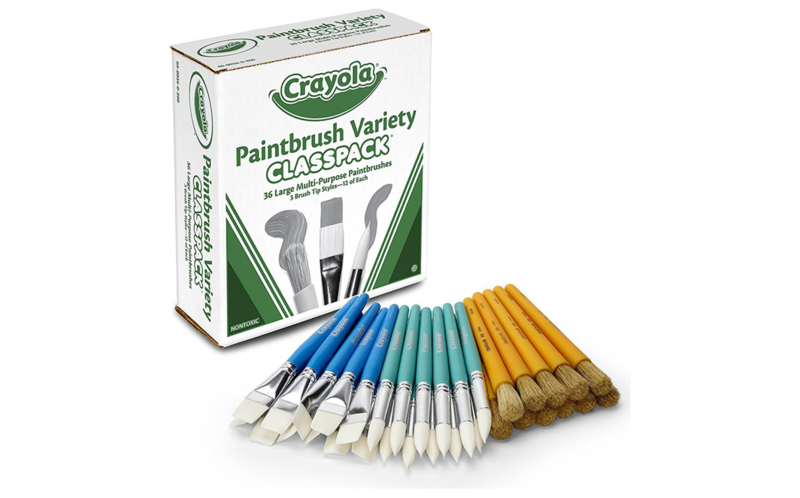 The variety of brush types encourages kids to experiment with technique and color to create one-of-a-kind art.